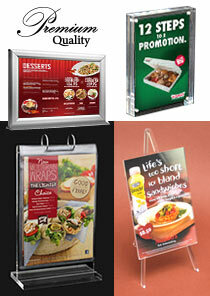 Hospitality Signage Features a Huge Range of Low Cost Products! 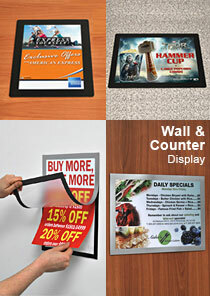 Need quality hospitality signage to help put your business over the top? 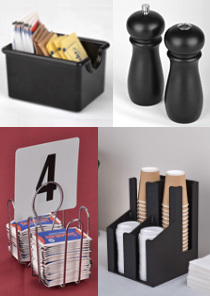 These hotel displays will help your company get ahead of the competition by utilising a huge selection of items that looks great in any décor, all available at prices that won't break your budget! 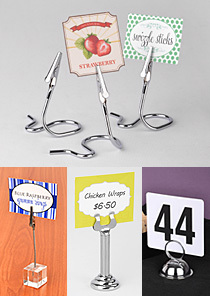 The restaurant signage, also known as hospitality and restaurant menu holders, includes heaps of styles of products that can be used in a huge variety of locations in order to fulfill the marketing & promotional needs of different businesses. 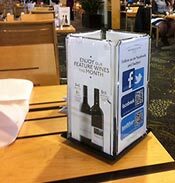 These hospitality displays make it easy to show custom signs, place merchandise around your location, show menus and specials to potential customers, and otherwise engage patrons with important information about your location! 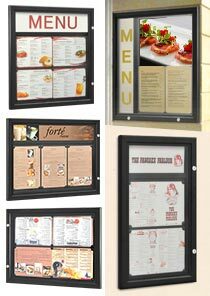 These hotel displays include counter or tabletop signs that are a great way to present information about menus, specials, or even product information to customers. 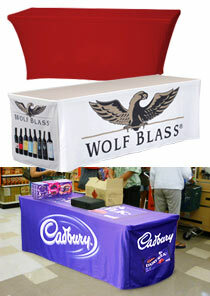 These table tents mostly feature an acrylic make that make it easy to view the displayed graphics. 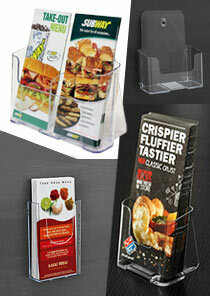 A variety of different sizes are offered with these displays so you can find the best fit for your needs. 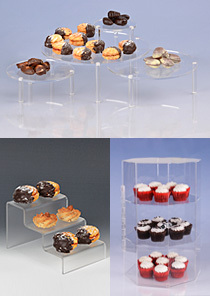 Some of the stands are double-sided as well, allowing you to promote in multiple directions at once without taking up additional space on the counter or table top. 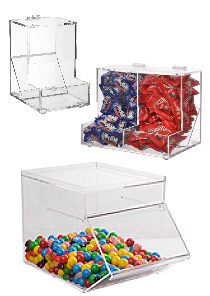 As for floor-standing unit, a bevy of different types of holders are provided that you can utilise to place promotional posters in front of a store in a mall, or show a menu to passersby to help them decide to enter your establishment. 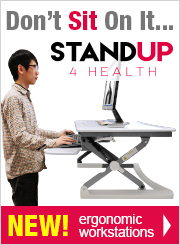 These stands are also accepting of different sizes of graphics, including A3 & A4 standard sizes, with both landscape and portrait options available! 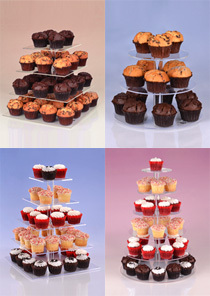 These menu holders feature an aluminium make for a durable unit that stands up well to use in heavily trafficked areas for years to come! The finishes includes silver and black options, easily fitting in with any décor to make your marketing team's job simple! 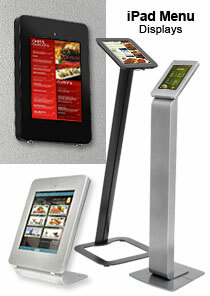 Displaying menus or informational brochures is also easy with our range of counter-top and wall-mounted literature displays. 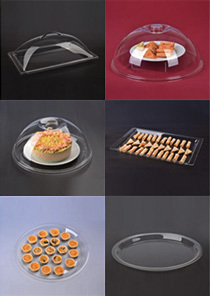 The different styles include tiered and single versions to match the needs of your business easily. 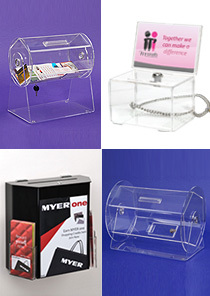 These stands have different makes, with the inexpensive cardboard versions being great for quick placement on retail store or hotel counters for promotions, whilst the acrylic holders are designed as more of a permanent fixture. 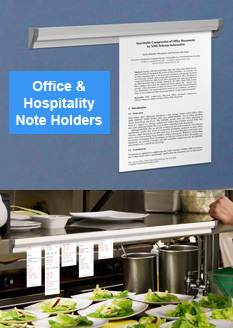 These literature holders are ideal for placing pamphlets with travel destinations at booking agents, specifications on cars around car dealerships, take-away menus at restaurants, and product warranty information at retail stores! 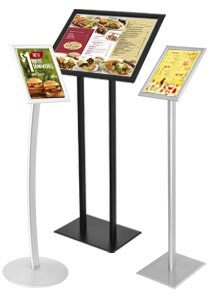 Which Hospitality Signage Products are Offered? 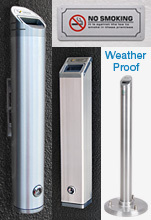 Different outdoor displays are offered as well, providing your company with weather-resistant stands that can be utilised in different conditions for truly versatile units. The huge feather banners and flags make an impression on passersby whether driving by on a highway or walking around a festival. Custom graphics featuring bright, vivid colours easily call out to potential clients and bring them close to your storefront or booth at outdoor events! The weighted bags that are included help prevent the display from being tipped over from winds, and there is even a stake included with some units that can be screwed directly into the ground! Aside from these flags, there are also a wide range of ashtrays and smoker stations that allow employees or patrons to dispose of waste to help maintain a clean environment. With a variety of styles, including both floor-standing & wall mounted options, our diverse selection if sure to be beneficial to your company. 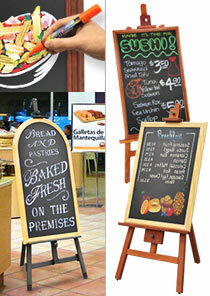 We also have a huge range of write-on boards that can be placed on the pavement to call out to customers and announce ongoing sales, special events, bands playing at pubs, menu specials, and so much more. 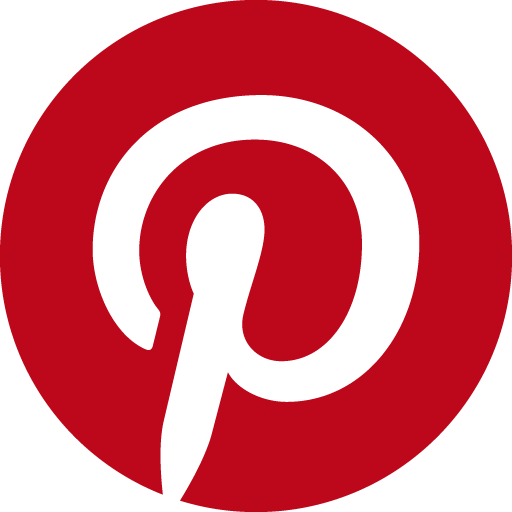 These boards have many sizes to choose from, and have a huge selection of finishes and makes to best fit in with you needs and décor, all at the low prices that you expect! 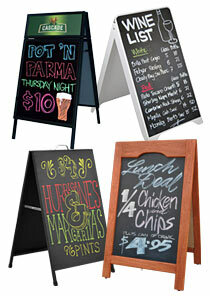 There are liquid chalk markers available for purchase as well for writing on these boards. 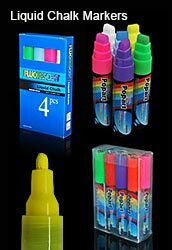 Displaying with an array of vivid, bright colours, these markers make it easy for employees to write intriguing messages that will surely capture the attention of passersby. When changing out messages, these markers wipe clean with only a damp cloth needed to maintain a professional look at all times! 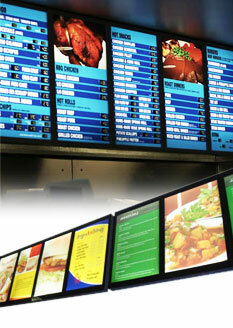 Wall mounted menu boards and light boxes allow you to place your menus for easy viewing at your restaurant. These systems have different widths available to best fit your location, and you can pick from A2 or A1 sizes to best reflect the amount of information you wish to display. 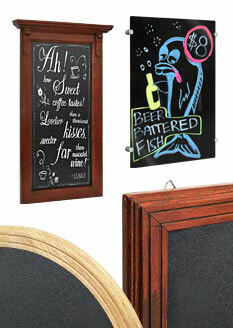 These boards include both silver and black finishes to easily fit in with any décor whilst forming a frame around your custom graphics to help draw attention. The lightbox displays make providing nutritional information to customers simple, and the bright look stands out for easy viewing. Switching out graphics for menu changes is simple as well, with the included suction-cup tool making it easy to remove the acrylic panels. These panels can be wiped down nightly as well, maintaining a clean look that is essential for a hygienic business such as food service. 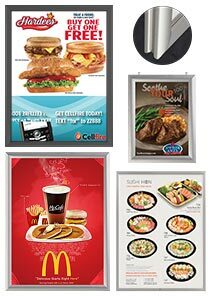 There are also floor-standing light box displays that can be placed around malls, hotels, casinos, exhibition halls, museums, and information centres with back-lit graphics looking impressive and garnering the attention of passersby. The different light box stands include tall totems that hold a variety of sizes of graphics to allow your creative team to find the best fit for how you wish to portray informational posters. LED signs that have messages such as OPEN, NO VACANCY, Wi-Fi, and ATM are also now available for you to purchase. These moving light signs help draw the attention of passersby with brightly changing lights that will help to catch their eye. 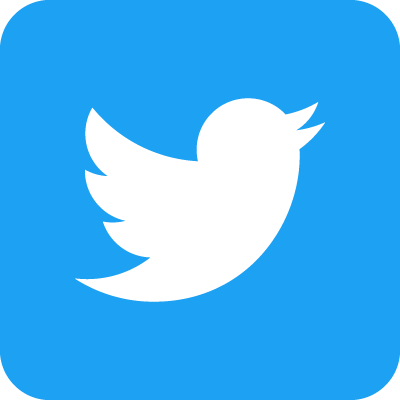 Different signs include different looks, and all are able to be worked into your location with ease and offer a great alternative to standard signs that aren't nearly as eye-catching. 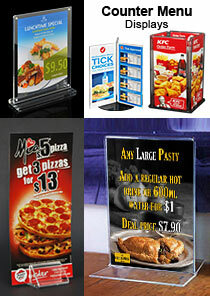 These display signs make a great addition to convenience stores, news agents, pubs, bars, and fast food restaurants! 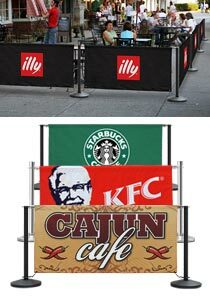 For creating the ultimate outdoor seating area, our line of cafe barriers has no equal. 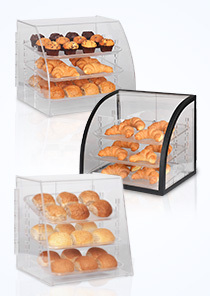 These displays include versions that can have your custom designs printed, allowing you to display your business name to promote whilst creating a dining area, a dual-purpose display. 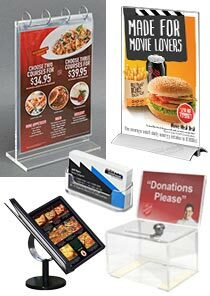 When using the printed version of these displays, the banners are made of nylon-weave for a hard-wearing display that will last for years to come. 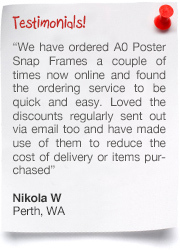 Your graphics are printed with a sharp photographic look whether using full colour designs or 2/3 colour logos! You may choose to have single-sided or dual-sided printing as well, with the dual-sided banners printed separately in order to provide a true look to the unit without reverse printing! 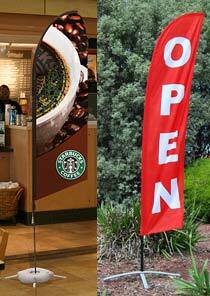 If only in need of a solid colour barrier, the polyester fabric banners include blue, red, black, and white colour options that work well to match a variety of decors. These displays all have multiple configurations available to easily create an outdoor seating area or even section off areas of festivals for crowd control purposes. There are also different hostess or maitre d' stands to choose from that can be placed at the front of house of restaurants for greeters to meet with arriving customers and informing them of waiting times or bringing them to their reserved table! A lip on the top of the stands helps to hold reservation books in place with ease, and the different colours that are available make it easy to coordinate with your business' décor! 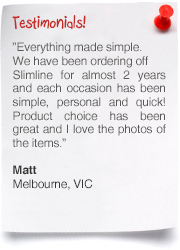 With hundreds of products to choose from in a large variety of categories, the online catalogue is the best place to start in order to outfit your business in style. 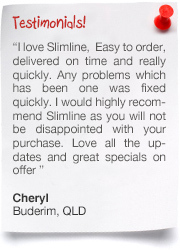 Our wide range has been carefully tested to ensure we are only offering the best quality products, all at prices that can't be found anywhere else! 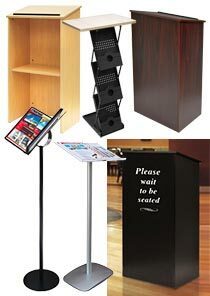 Our selection currently includes portable counters, photo frames, exhibition stands, hanging hardware, poster holders, cafe barriers, cigarette bins, stanchions, noticeboards, lightboxes, business card holders, brochure display stands, lecterns, easels, and so many more. Additional items are added to our range almost weekly, helping to keep both our business & yours ahead of the competition by utilising the latest in trends and technologies. 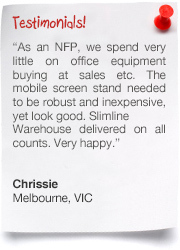 Slimline Warehouse has been a leading provider of POP, POS, retail, & exhibition products to Australians for over 20 years. 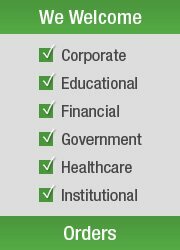 Our thorough testing of items from around the world has led use to use only the best vendors, with low prices that are passed onto our customers to keep their business under budget, with customers and employees alike happy with the result. 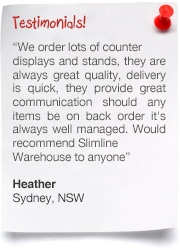 Our warehouse despatches daily, with same day shipping offered on most in stock products that are purchased prior to 1pm EST!. 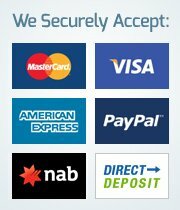 Order for your company today from anywhere in Australia, including Melbourne, Perth, Sydney, Toowoomba, Bendigo, Hobart, Adelaide, Alice Springs, Darwin, Brisbane, Newcastle, Cairns, Gold Coast, & Canberra!